Q&A: My Chameleon Stopped Eating! Question: My chameleon hasn’t eaten in a couple days. When should I start worrying? Going off feeding is not something to start worrying about immediately. A couple days or even a week will not damage your chameleon. But you are correct in noticing a change in behavior and the question really is - when does it become a problem that needs a solution? The first thing to do is put on your detective hat and figure out why your pet has gone off feeding. The reasons for not eating are wide ranging from harmless to dangerous. So when you notice your chameleon changing habits let’s do a quick physical check. 1) Weight. It is a good idea to weigh your chameleon on a gram scale weekly. This is an important way to determine the health of your animal. Regardless of the eating habits, if the chameleon is maintaining weight then you probably have nothing to worry about (assuming lack of feeding is the only symptom). If the chameleon stops eating and you notice the weight decreasing by more than 5% of total body weight then that is a symptom of trouble somewhere. 2) Tongue/mouth. A chameleon will stop eating if its tongue or mouth are damaged. 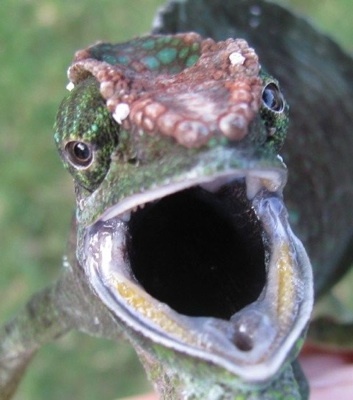 Get your chameleon to open his mouth and check to see if you notice any swelling, yellow/green puss, or anything else out of the ordinary. Sometimes a food item will bite back and the chameleon won’t eat until the bite is healed. The seriousness of this situation depends on how bad the bite is. A bite from a cricket may heal cleanly and life will go on, but if infection sets in, an antibiotic is in your future. A bite from a spider or sting from a bee could be deadly. Any sort of puss (mouth rot) is an immediate trip to the vet. Don’t delay! 3) Eyes. Are the eyes sunken in or closed? This is the universal sign that a chameleon is in big trouble. If they are sick to the point of keeping their eyes closed during the day they will probably have little interest in food. Although this is obvious to most experienced keepers it is worth bringing up because in the very early stages of illness chameleons may just keep their eyes closed when they feel totally safe. If your chameleon opens its eyes when you walk into the room, consider that a warning that the next step is that the chameleon is too sick to open its eyes when it senses you coming near. If your chameleon is starting to close its eyes during the day, get your pet to the vet. A lack of appetite is the least of your worries. If there seems to be nothing physically wrong and the weight is not dropping then a hunger strike could be for a variety of reasons from not being hungry (if they don’t have to hunt for food or shelter there isn’t a whole lot of calories being burned) to getting bored (crickets AGAIN? Can I have something green?). Bring in new food items and see what effect that has. Often a new food item will excite them and break a strike. Ironically, something as simple as a housefly quickly flying around the cage could be the perfect thing. Conclusion. Chameleons are not the greatest calorie burners in the animal kingdom. In fact, a content chameleon does a lot of sitting around. An adult chameleon can easily survive on three or four appropriately sized gut loaded food items every other day. If you are feeding more than that then consider that your chameleon could, at some point, decide it just isn’t hungry. If all other signs are healthy, this is nothing to worry about. The main point to take away from this is that it is imperative to establish an understanding of what is normal for your chameleon. Weight charts, familiarity with healthy anatomy, and standard behaviors must be established long before a problem situation arises. With a familiarity of your chameleon’s history you will be better able to identify what is out of order whether it be physical or behaviorally. 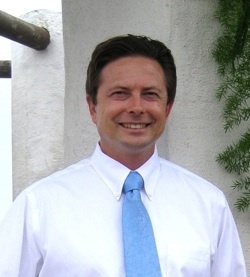 This information will save both you and your vet time in getting to the bottom of the problem. So what should you do? 1) Consider starting your weekly weighing routine. It really is fascinating to watch growth! 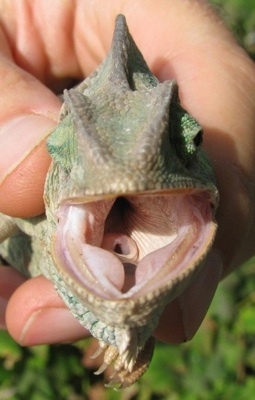 2) Look inside your chameleon’s mouth. There’s a side you rarely see! 3) Pay Attention. Keep track of your chameleon’s habits. In the end, eating is just another behavior that offers a window into how your chameleon is doing. If you are paying attention enough to notice the start of a hunger strike then you are on the right track to nip problems in the bud early. Keep up the good work! Take a look inside that mouth! Bill Strand has been keeping and breeding chameleons since the 1980s. He loves baby chameleons and laments that they ever have to grow up. Bill co-founded the Chameleons! Online E-Zine and heads the South Bay Chameleon Keepers in Southern California. 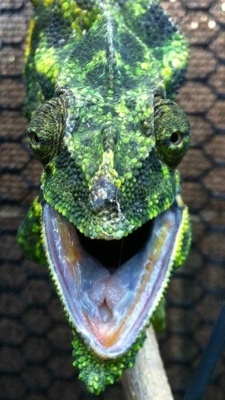 He currently runs Dragon Strand, which develops specialty cages for the chameleon community at http://dragonstrand.com. He and his wife, Yvette, breed a number of species and continue to debate the merits of naming an animal that won’t come when it is called. They both enjoy living amongst these incredible miniature tree dragons.